Beauty, indulgence and timeless elegance. From the sparkle of each chandelier teardrop to the breathless luxury captured in every crown-topped fragrance, Clive Christian is the pursuit of passion and perfection. Clive Christian began in the 1970s by transforming the utilitarian into the pleasurable. Kitchens were simply tool rooms, cooking merely functional. Clive Christian’s vision showed this room for what it was, the heart of the home, a social hub of art, warmth and conversation. Breaking down boundaries and condemning convention, Clive Christian implemented a statement chandelier into the kitchen of his 19th century Cheshire manor. This ornate fixture was the centrepiece of Clive Christian’s very first bespoke design – the Victorian Kitchen. This was a grandiose resurrection of the lavish interiors of the Victorian era, symbolic of Clive Christian’s devotion to tradition and culture, history and luxury. After the founding of Clive Christian Furniture in 1978, customers clamoured for their own bespoke designs. 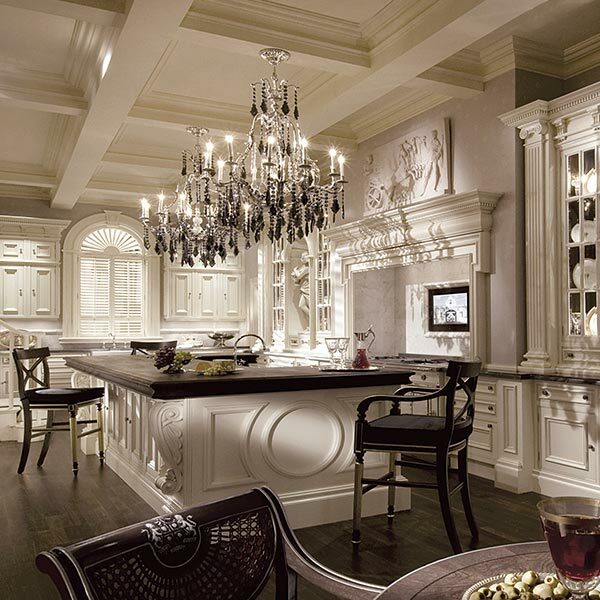 Each different creation represented the very elements that Clive Christian so vivaciously displayed in his Victorian Kitchen: grandeur, dedication to the familial and the romantic, a place to be remembered and where memories were made. Beyond furniture, Clive Christian turned his unwavering focus and desire to create toward luxury fragrances, with a view to revive the industry by bringing the same artistic beauty and attention to detail that had made his interior designs so sought after. Both following and paving the path of luxury, Clive Christian seized the opportunity to purchase the Crown Perfumery Company in 1999, and established Clive Christian Perfume. 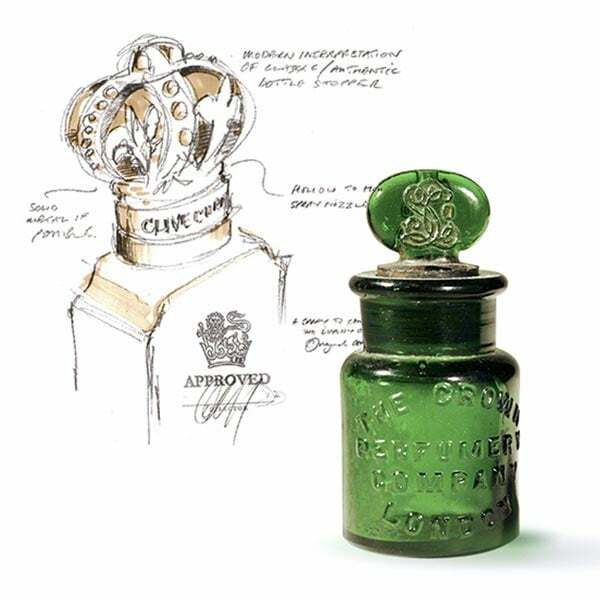 Truly, a match formed in a hedonist’s heaven: an empire driven by splendour and British history acquiring the only perfumery given the right by Queen Victoria herself to use the image of her crown, in turn bestowing Clive Christian with the now world-renowned crown bottle-stoppers. The iconic crown image only further symbolises Clive Christian’s exclusivity, regal feel and British pride, embellishing each hypnotic perfume scent with a touch of magnificence. The only demand behind each luxury fragrance was sheer perfection. The finest ingredients, the rarest temptations of the senses, exhilarating and enthralling all at once. In 1999 Clive Christian launched the ‘Original Collection’, featuring a trio of fragrances in both men’s and women’s versions, tailored to perfectly complement one another. The first, ‘1872’, pays homage to the year Queen Victoria honoured the Crown Perfumery Company with her symbol. The feminine edition is a celebration of the British summertime, a serene melody of vibrant floral notes and citrus tones, whilst the masculine edition showcases a spiced infusion of Sandalwood and Cedar. The second fragrance in the collection is arguably the most resplendent. Known simply as “No 1”, the feminine edition is nothing if not spectacular; “Clive Christian’s magnum opus. Rare and exotic flora are rendered timeless in this sparkling homage to the East. A floral oriental with fruity top notes of plum, mirabelle, white peach and bergamot which slowly and sensually unravel to reveal jasmine, carnation and rose.” The masculine edition is no less sumptuous, the essence of refined masculinity encapsulated in a masterful blend of precious ingredients. The third and final scent is ‘X’, an aphrodisiacal offering, created to tempt. The feminine edition emulates a femme fatale – subtly seductive, a mesmerising combination of Cashmeran Musk and Jasmine. 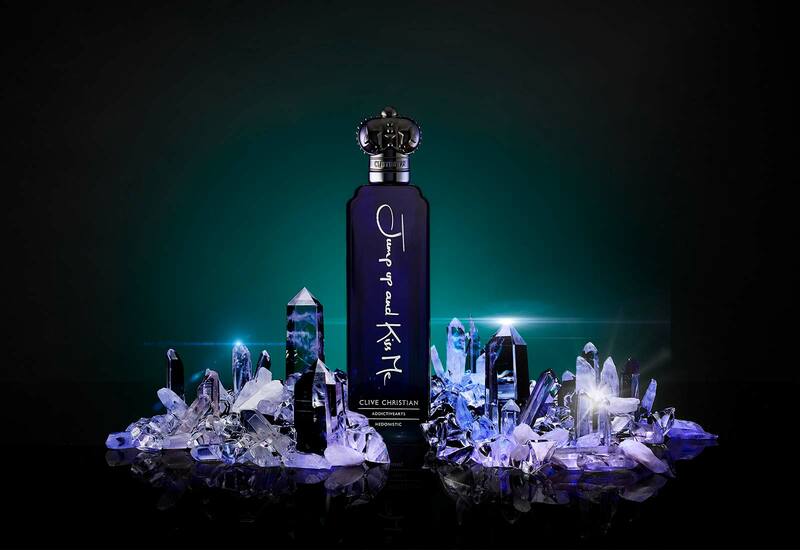 The masculine edition is equally as intriguing, formed from far-flung exotic extracts. In 2010, the Private Collection was born, a selection of emotive and evocative fragrances as a tribute to Clive Christian’s love of family. It is a reflection of life’s most precious moments, stories spun with contemporary scents and bottled – snapshots caught in ten vivid perfumes. A proud and patriotic family of scents shaped by the most celebrated horticultural, architectural and artistic periods of British history. 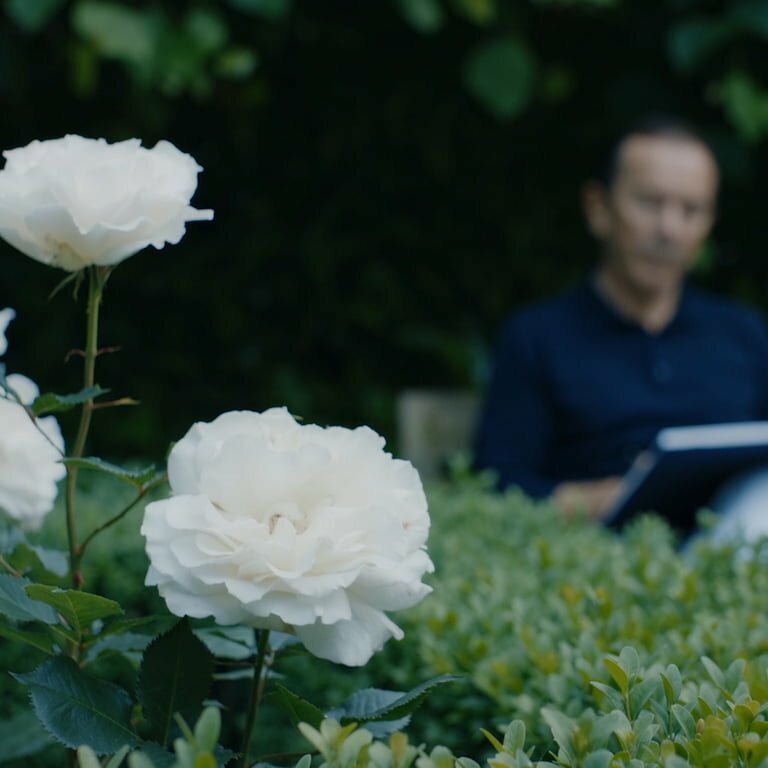 The ‘Noble Collection’ fragrances take inspiration from the spirit of nobility, and the exquisite flora of the gardens that surround Christian’s own Queen Anne residence. As ever, his own fondness for beauty touches every detail of his empire. A balance between traditional culture and contemporary art is perhaps what makes Clive Christian so special – each creation perfectly melds together the beauty of the past with a vision for the future. The most recent addition is the ‘Addictive Arts’, a spellbinding trio of fragrances concocted with seductive, sybaritic elements to thrill the pleasure-seekers and sensualists. The names themselves conjure imagery of the wild and the reckless – Jump Up And Kiss Me, Chasing The Dragon and Vision In A Dream. Each intoxicating scent is created to intrigue and excite, and awake the senses in a way only the most masterful can accomplish. Truly, what sets Clive Christian apart is the unwavering dedication to their creations. Each fragrance is complex, with meticulously selected raw and rare elements, from British flora to exotic, far-flung notes of cinnamon and cardamom. The concentration of pure perfume in each bottled masterpiece guarantees both intensity and longevity, closer to the skin than any other cosmetic or apparel. Reflecting the lack of restriction Clive Christian places on sourcing only the finest ingredients, each fragrance also has a counterpart; every pair flawlessly complements one another and forms a complete, universal experience like no other. The pursuit of beauty is one that is constantly growing, consistently evolving and ceaseless in the desire to create – and this desire is what continues to drive Clive Christian forward.